Oasisplay is a local charity that runs three different and unique facilities for children and young people in Stockwell, London. Oasisplay runs a Children’s Nature Garden, a youth led go-karting project – Right Track Project and an Adventure Playground. All projects are open access and available for local children to attend after school, on Saturdays and during the school holidays. Specialist activity sessions are also provided for schools, youth groups, private groups and other agencies. Each of the three projects has a team of experienced play and youth workers who ensure that all children and young people are able to make the most of the amazing opportunities and experiences that are available on each site. Oasisplay is managed by a voluntary management committee and funded by the London Borough of Lambeth, The Big Lottery, BBC Children in Need, The Walcot Foundation and Comic Relief. Please visit the individual project pages to find out more! Providing innovative and inclusive outdoor play and learning opportunities that enable disabled and non-disabled children and young people to lead happy, fulfilled lives and play positive roles in the community. 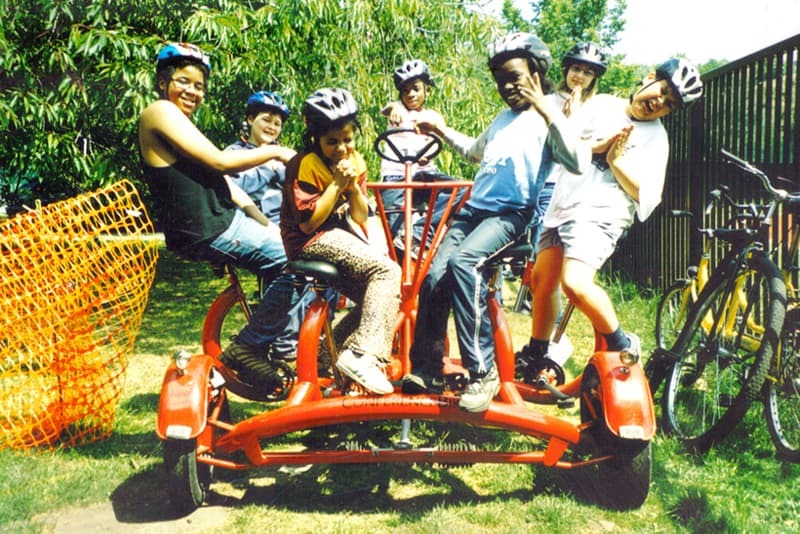 In 2000, Oasisplay secured a 30 year lease from Lambeth Council for the Larkhall Adventure Playground. With the help of volunteers the site, which had become neglected once more, was cleared and the structures made safe for a new generation of children. 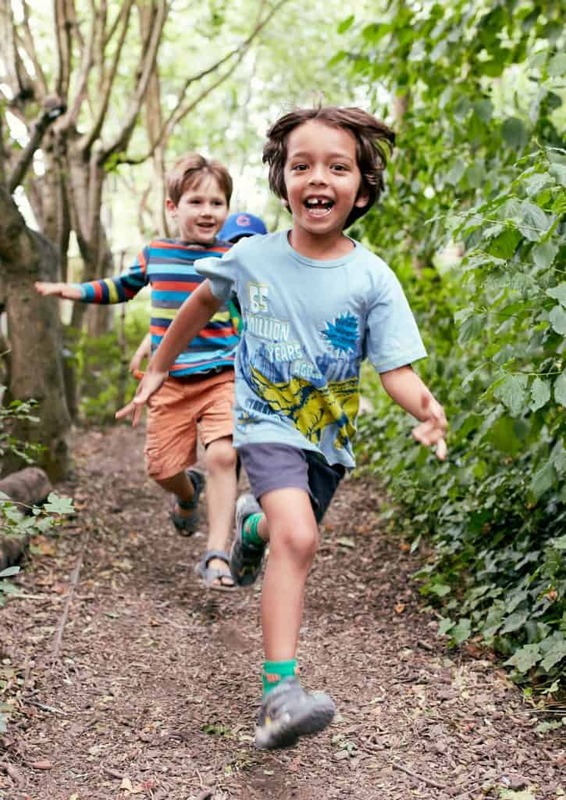 Today Oasisplay provides play and youth activities for children and young people from the local community at Oasisplay Children’s Nature Garden, Oasisplay Karting Project ( Right Track Project) and Oasisplay Adventure Playground. Schools, youth clubs and playschemes can also visit the projects to take part in a wide range of educational and outdoor activities. Oasisplay as an organisation has grown organically since its inception in 1973. Local parents and residents transformed a derelict green space into a playground with swings, a slide and skateboard ramp. 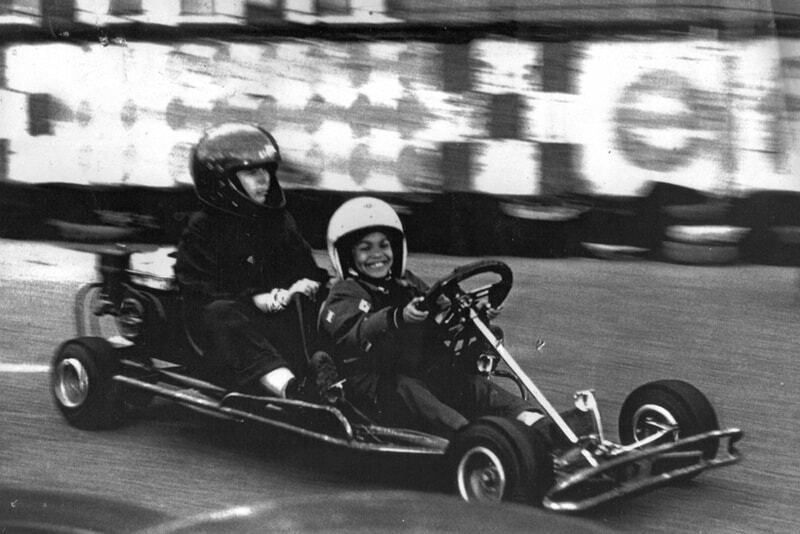 Then, in the early eighties, Oasisplay users took hand built karts to an unused school playground across the road, and the karting track was created. Our unique offer empowers children and young people facing multiple disadvantage to lead happy, fulfilled lives and play positive roles within their community; improves family and community members’ wellbeing, knowledge and skills; and strengthens relationships among community members of all ages. We regularly evaluate each of our services, collecting data using a number of methods to that we can get true measure of the impact of our services. 84% of parent carers report that the play project is improving the physical health of their children and 89% report improvement in their emotional well being. 100% children said they felt healthier. Our facilities include an adventure playground (with a mountain bike track through wild woods, a hard surface area for sport/ball games, play structures and two indoor areas), a motorised karting track and a nature garden. Oasisplay aims to improve the lives of children, young people and the local community. We do this by delivering supervised play facilities across three neighbouring sites. These are a nature garden, a go-karting track and an adventure playground.